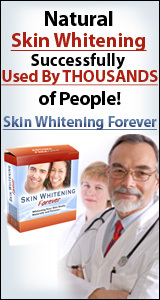 Face whitening cream: Skin spots are rather uncomfortable to live with. They have a great impact upon one’s image and can seriously undermine one’s confidence in himself/herself. This is why many people choose to remove those brown spots, no matter what it takes. First there are the modern techniques, such as laser technology, microdermabrasion and professional bleaching procedures done in dermatologist’s offices. Then there are the home based creams and ointments which inhibit the production of melanin, thus discoloring the area which is under treatment. There are also available creams which will chemically exfoliate the upper layers of skin. These have a lower concentration than the creams used in professional offices, but they are still great for removing or discoloring brown spots. Last, but not least, there are the homemade products which can be used safely for treating skin hyperpigmentation. No matter which one of these treatments you decide to use in order to solve the dark spot problem, you will have to avoid, as much as possible, sun exposure during and after the treatment. This is mainly because when undergoing a skin whitening treatment the skin is very sensitive to external factors, thus the risk of damage cause by the sun increases significantly. If you go for the laser treatment, microdermabrasion or any other type of skin exfoliation the new layers of skin which will be much more sensitive to the solar rays and sunburns may appear on the skin. In addition to that, the skin will increase the amount of melanin to stop the harmful effects of the sun and new dark spots may appear on the skin, even on the new layers. If, on the other hand, you go for professional or home bleaching, you will have to stay away from the sun rays or use a high SPF lotion as otherwise the treatment will be useless. Most bleaching creams inhibit the tyrosinase and the production of melanin will be reduced significantly. Face whitening cream: This means that when the skin is exposed to the sun, there will be no substance to protect the skin from its harmful effects. Also, if the skin is exposed for a longer period, the production of melanin will increase, reaching even higher levels than before the treatment, which will result in a further darkening of the skin.